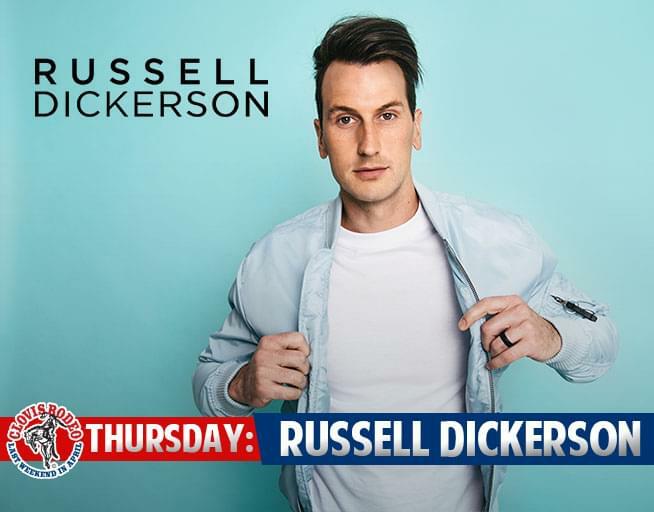 93.7 Kiss Country is proud to announce that Russell Dickerson will be the Thursday Night Featured Artist at the 105th Annual Clovis Rodeo! The show takes place after the PBR Bull Riding Velocity Tour on Thursday, April 25th at the Clovis Rodeo grounds. Russell Dickerson was born for the stage. One of country music’s most talked-about new talents — and the voice behind the smash single “Yours,” a stunning ballad inspired by his wife of four years, Kailey, that’s racked up over 33 million streams to date on Spotify, where he’s been on the Hot Country, Country Gold Playlists and more for over a year, and exploded since being serviced to country radio. Now, thanks to “Yours,” “Blue Tacoma” and “Every Little Thing,” he’s steadily built a serious fan base of his own. Strident, proud and fiercely determined in his artistry, Dickerson is that rare breed of artist who both writes with patient, staid intention and performs like a kid living out his wildest fantasy. Tickets on sale now for the 105th Clovis Rodeo. Always the last weekend in April it is one of the most popular events in Fresno County and takes place April 25-28, 2019. Fans wanting to purchase tickets can take advantage of extended hours at the ticket office for two days only on Thursday, January 17 and Friday, January 18 from 9:00 a.m. to 7:00 p.m. (The Rodeo’s ticket office at the rodeo grounds will reopen again in March and remain open through April.) Tickets are available at any time on at ClovisRodeo.com.